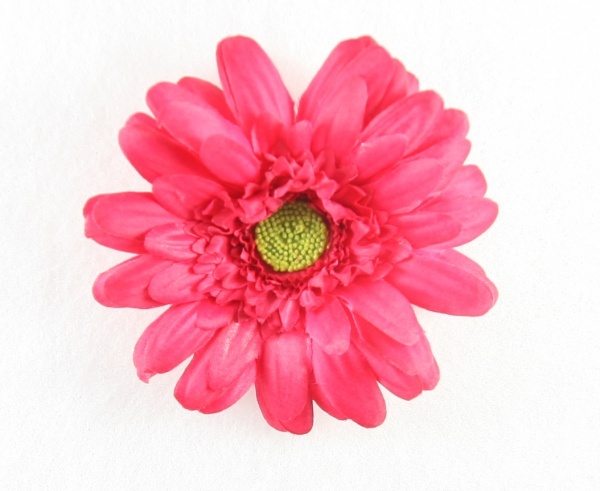 This is a shocking pink silk gerbera daisy that is all ready to slide into your hair. It is on an alligator clip that is lined with a white grosgrain ribbon. The circumference of the flower is 3.75" and the middle of the flower is 7/8" wide. The center is a yellow/ lime green color. This is perfect for your new Spring and Summer outfits, wear it alone or slide it into a headband or crochet hat for extra color and style.